If there is anything as mesmerising as the flicker of city lights, then it must be the slow dance of flames. 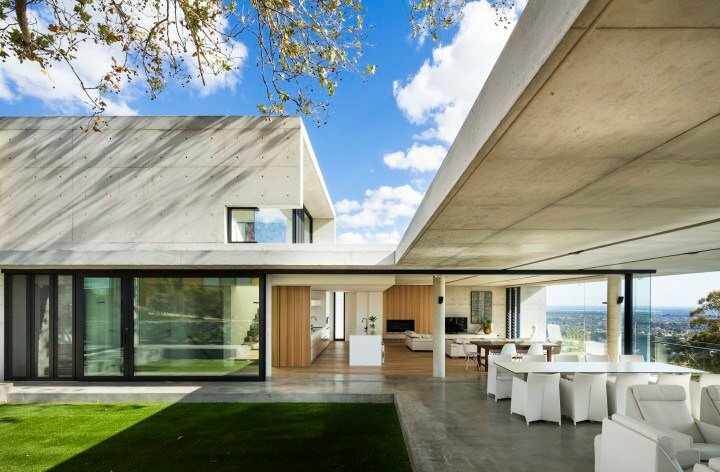 Architects Ink’s design for Plane Tree House, winner of the Institute of Architecture South Australia’s residential architecture award, uses the raw beauty of concrete, timber and glass to complement its natural environment, showing us that rather than dominating the landscape, breath-taking results can be achieved through working with the site and materials. At the centre of the house are two Escea fires, reminding us that while Plane Tree House cannot exist without the stunning vistas surrounding it, nor can a fireplace exist without the flames at its heart. 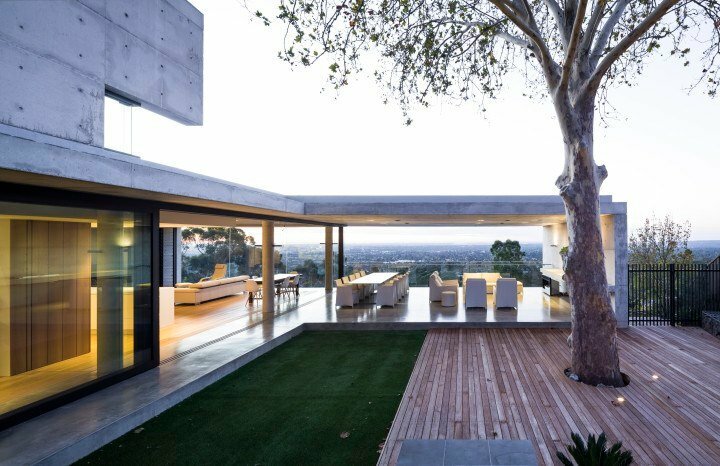 Poised on the hills surrounding Adelaide, Plane Tree House balances brutal beauty of concrete with the translucence of glass to create a design that is as much sculpture as the house. The clean lines of the concrete cut across the horizon as if to frame the very best views Adelaide has to offer, just for the residents’ convenience. Escea fireplaces also frame a stunning view. The sharp lines of the black fascia framing the DL1100 and the EF5000 chosen for Plane Tree House accentuate the captivating beauty of fire. The simple form allows you to watch the essential flame, just as Plane Tree House makes its already epic views become something out of this world. The complementary aesthetic of the designs of both house and fireplace highlight the overall intention of Plane Tree house – to keep a strong relationship with its site, and balance harsh lines with natural light. Just as stunning results can be achieved from retaining a strong relationship with the natural assets a site has to offer, so it can be released to return to the crux of what homeliness really means. The fireplace has been the heart of the home since humans first paced this earth, and for centuries the warm glow of a fire has brought people together. Plane Tree House’s fireplaces have been installed in the prime social areas of the house: the DL1100 in the dining room, and the EF5000 in the outdoor eating space. Placing the fires at the social hubs of the house conveys the simple message that in this fast-paced modern world, preserving a connection to those around us is deeply valuable. Architects Ink’s design for Plane Tree House is refined in form and raw in building materials, removing the visual clutter we are accustomed to in our daily lives. The house’s design gifts us a little breathing space to appreciate the small things in life – the city lights on the horizon perhaps, or the soft chatter of friends in firelight.